Few berries pack the power of a cranberry and the benefits are undisputed. Bursting with health-boosting antioxidants, cranberries are also a great source of vitamin C and dietary fiber. They make for my favourite kind of muffin and, as it so happens, they’re also right outside your door. 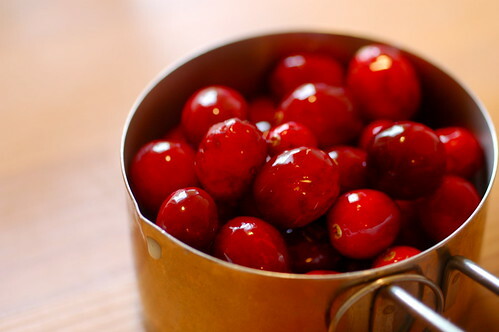 Cranberries are one of the easiest fruits to stock up on and adhere to the 100-mile diet. 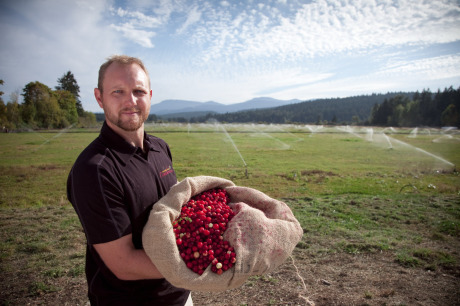 Due south of Nanaimo you’ll find Yellow Point Cranberries, a family-run farm dedicated to producing and harvesting some of the freshest and tastiest cranberries you’ll find in British Columbia. Nearly 10 years ago, what was once overgrown farmland slowly began the transformation into 43 acres of functioning farmland, 15 acres of which is now dedicated solely to cranberries. In addition, the adjacent Cranberry Cottage and Cranberry Cafe will tempt you with everything from cranberry salsa, cranberry squares and even cranberry lemonade! Now that summer is officially here and the sun is shining, it’s a great time to explore the abundance that Vancouver Island has to offer. Yellow Point Cranberries shouldn’t be missed, and now that the farm is offering tours, there’s no reason not to. For only $5 per person, The Express Tour will get you acquainted with how this healthy super-fruit is developed, grown, harvested and processed. A number of other tours are also offered such as The Cranberry Lover – including a guided tour, light lunch and cranberry-themed gifts. And yes, sampling is most definitely included in all tours! Yellow Point Cranberries is located at 4532 Yellow Point Road in Ladysmith. All tours must be booked in advanced by calling (250) 245-5283 or by e-mail. Visit the website for more information, including some scrumptious recipes! Lemon Cranberry muffins with streusel topping….yummy! Now I have a craving. Keep posting stuff like this – I really like it! Have you bought cranberries from there before? Do you know what they sell for a lb? I want to can and freeze a bunch this year! Just stumbled upon your site and I’m lovin’ it!